Before the summer of 2014 started, I knew I had to make a change in my life. It would be time for me to turn my dreams into actions. I had many many dreams but how would I channel these dreams into actions? These were some of the things running through my mind as I came across a free invitation to cover a Arianna Huffington event as a blogger so i took it. So there I was sitting in Ariana Huffington's Thrive event when she made one casual statement that went over most people's heads. She joked about how her kids made fun of her Greek accent even though she had been in America for a long time and that resonated with me because of my Third Culture Kid background. I was covering the event as a blogger but the main reason I went to the event was because I wanted to hear her speak as I am a huge fan of her work. Anyway back to the statement she made. She said her kids sometimes asked her where she was from because of her accent and went on to discuss how she embraced it because it was who she was and boom! My creative juices started to flow. I thought back to a Buzzfeed article I had read earlier that introduced me to the term "Third Culture Kid" and I began to dream up ways that I could help people who identified with different cultures and many homes. All of a sudden a lightbulb went off in my head and I immediately wrote down the title of what would eventually become my first book. I said to myself "I bet there are a lot of people out there who don't look like how they are supposed to sound and/or don't sound like how they are supposed to look so why don't I reach out to them and share my story of growing up in four different continents and five different countries. This was exciting to me because for as long as I can remember, I have always wanted to make a difference in people's lives especially the youth. I felt like it was my calling but I just was never sure what my vehicle would be so it felt good to be able to finally feel the passion one usually feels when you find your calling. But had I really found my calling? As an untraditional visionary I tend to have tons of ideas running through my head constantly and not all of them are as good as I think they are so even though I felt strongly about being a voice for this audience, I still wasn't sure. I was fearful. So during the intermission, I ran into one Dave Gambrill who told me about his coaching business and how he was growing his online brand and I was amazed by what he was doing so I told him what my vision was for Third Culture Kids and global nomads and how I wanted to start building content to inspire people to become global leaders and he flat out told me to do it and that sometimes you just needed to start something despite your fears. I knew this of course but it felt good to hear someone else confirm this for me before I let self doubt creep in any further. Lesson one: Ladies and gentlemen never let your fear prevent you from going after something you envision. What's the worst that could happen? Failure? Maybe, but the you will be getting one of the best teachers that money can't buy. It's all about perspective. That weekend I wrote about the Thrive event and called one of my mentors to tell him my plans of building content for my "would be audience". Although he wasn't familiar with the term, he liked the fact that I was passionate about it and I felt even more confident after that. Then another idea popped in my head. I decided that I wanted to do a podcast that dove into issues and opportunities present to multicultural people. I love media in all forms so I thought why not take advantage of a medium that is growing? However, I knew nothing about about podcasts. I had done a few interviews in the past but I had never packaged them into a podcast ready format. I floated the idea around but it was not as well received as I thought it would be. I got questioned about my audience and why I would use podcasting as a medium. It stung a little I can't lie. I mean I was on such a high. I thought that I had escaped doubters but an amazing thing happened. I decided not to listen to them. The doubt fueled my passion even more. I decided to proceed with my podcast idea because I felt like it would be a great way to spread my message to the world and I said to myself. "What's the worst that can happen?" I was also extra motivated to prove people wrong. I spent two days building lists on Twitter of people I wanted to interview to and I started reaching out to them saying I wanted them to share their nomadic experiences and what they learned from it. Mind you I did not have a product, interview format or even know how to put together a podcast but I felt so strongly that this would work and so I went to work. To my surprise I got a lot of yes's and why nots from the people I reached out to and all of a sudden it became real! I knew I had to launch this podcast now because I had told the people I reached out to that I would be launching around the end of summer or early fall. Also so what if you fail, at least you will have experience as a teacher and she is the best type of teacher anyway. Goal two launch a podcast! I feel like now is as good a time as any to mention that I am in the process of completing my MBA so I have classes virtually every week. Mostly at night. I also happen to be on student government. When i got elected as the social chair on campus, I decided that I would do things a little differently. Instead of focusing on just happy hours, I would create events that I feel like would provide the most value for students so in May I told the student club leaders that we would have the first ever Career week on campus- a week focused on bringing together alumni and professionals from the different areas of specialization in the school to discuss different ways to become employable. and I decided that it would be a great idea to launch a career week in the fall that would bring alumni, and professionals from different fields to come speak at my school. I thought it would be the easiest thing in the world if I got buy in from the clubs but that was not the case. Again as an untraditional visionary, I tend to think faster than I can speak and sometimes I assume that everyone is following my train of thought which is hardly ever the case. So throughout the summer, I learned that I needed to learn how to articulate my thoughts and better communicate a sense of urgency. I also learned that I could not do everything myself so I had to learn the art of delegation. Lesson three: Delegation is key. We aren't all built the same way and we don't have the same skill sets. Also ALWAYS communicate with teammates and colleagues through every step of the way so everyone is on board. Lesson four: IT IS NEVER TOO EARLY TO PLAN FOR AN EVENT & always secure a location as early as possible. At this point with three goals, I had my hand full but I decided to take summer classes so I that i can graduate next May. I also wanted to learn more about media relations so I could learn more about how to reach audiences and influencers so I took an internship with a PR organization. This essentially meant that I would would have 12 hour days with working full time, taking classes at night, writing my book, figuring out how to podcast, and helping to plan the conference. On top of this, I also am a fitness junkie so I knew I had to find time to work out so I decided I would wake up at 5:30 every morning to do my workouts. This way i'd start my day off feeling energized. With workouts comes food so in order not to lose myself to unhealthy eating habits that can become accustomed with someone who is hardly home, I started cooking in bulk and making sure I had enough food for at least four days. For someone like me who eats six to seven times a day in two to three hour intervals, that's a LOT of food but I had a fitness goal to maintain. Goal four: Learn about media relations to help me better understand how to reach influencers and an audience. Lesson five: Prioritize! Prioritize! Prioritize! I knew that if I wanted to achieve all my goals this summer then I would have to prioritize so I cut out a lot of TV and replaced that time with a lot of reading. I only selected three shows to watch religiously. This is a big deal for me because I used to watch a lot TV! I'm talking close to 20 shows haha. Lesson six: Take care of your body. Just because you are ambitious doesn't mean you shouldn't treat your body right. I started doing research on podcasting and during one of the weeks of my research, one of the internet entrepreneurs I follow religiously Sean Malarkey announced he was partnering up with Kris Gilbertson for a webinar to discuss podcasting and I knew I had to attend. I attended and immediately enrolled in Kris's Podcast school. This of course would take another chunk out of my day but I knew it was worth it. I should pause here and say that at no time was I feeling over worked and there are are a couple of reasons why. I loved what I was doing so it didn't feel like work and I was taking care of my body by eating right and working out. Lesson seven: It's very important to be passionate about what you are doing you often feel more productive. Along the way I decide it would be fun to write another book. This time a fictional book about a character that would loosely have elements of myself. Why? because I like writing and I always wanted to be a published author so why not. I also decided that it was best to start rebranding my website and shift my focus to talking more about third culture things. So there you have it seven goals and four months to complete them?! How would I accomplish all this. I had to learn how to delegate and multi task even more than I could. To delegate I started using Fiverr for almost everything that I did not need to do myself. Fiverr essentially brings together a network of freelancers that can do almost anything so I used Fiverr for aspects on my podcast I was not good at so the artwork, intro & outro, editing and some research for topics I discussed in the summer. While things were working on Fiverr, I was focusing on other things like writing books and networking online. By the time some of the work was done on Fiverr, I had done about five to six things simultaneously. So how did I do? Goal 3: The inaugural career week just wrapped last week and it ended up being a success. The students liked it and I learned a lot about leadership and event planning. Goal 4: I applied lessons I learned from media relations during my summer internship to get published in an amazing travel magazine. You can read the article here. Goal 5: My goal of building lean muscle and becoming more defined was met and surpassed! Goal 7: You are reading this blog post on my rebranded site. I decided to write this because I believe in the power of the human spirit. I wholeheartedly if we put in the work ethic, discipline, and time while seeking mentorship we will be able to achieve our dreams. Some days will be long and hard but your passion will fuel you to where you need to be. Being realistic keeps you average. The wright brothers decided to build a plane that defied gravity. NOT REALISTIC! but now we have all sorts of planes and it is the safest form of travel. Thomas Edison developed the light bulb after many failures. NOT REALISTIC! And now a lot of people can't imagine living without electricity. Over the summer I came up with my mission statement: "Use Your Difference To Make A Difference" and now I live by that everyday. What are your dreams? What are your ambitions? Write them down and go do it! Share your goals and aspirations I want to hear! 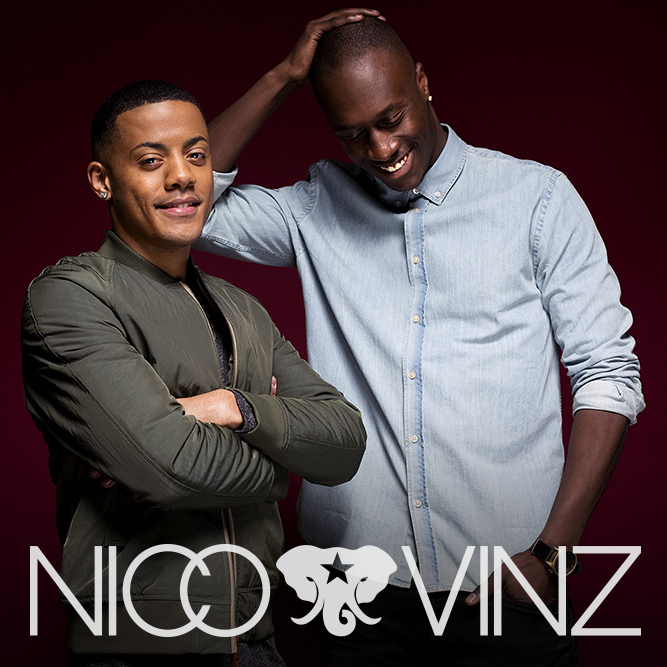 One of the songs of the summer has been "Am I Wrong" by Nico & Vinz. It has been ubiquitous; whether you were on your way to work, sitting in a cafe or just hanging out with friends, you heard it everywhere. The catchy tune by these two Norwegian artists not only makes you want to dance but it is really inspirational. I'll get to how inspirational it is in a few but before I dive into that, i'll give you a glimpse of who these two gentlemen are. Nico Sereba and Vincent Dery come from Norway- a country that has welcomed immigrants with open arms- Nico Sereba is of Ivorian origin and Vincent Dery is of Ghanaian descent. Nico was initially interested in soccer while Vinz wanted to be a rapper. However, somewhere along the line they discovered their calling was to sing and decided to team up. Once they started working together they decided to use their artistry to inspire people all over the world. Their mega hit "Am I Wrong" speaks to chasing our dreams and being willing to do what it takes. As an untraditional visionary, this spoke volumes to me. I find that too many people are often scared to chase their dreams for fear of not achieving them. For saying that I choose another way? Here Vincent Dery AKA Vinz asks himself if he is wrong for wanting to do something outside the box. He doesn't want to do something just because everyone else is doing it. He wants to go his own way but he questions himself because he finds it strange that people are content with being complacent and not willing to dare to dream. Remember when we were kids and we all thought we could be heroes, different makers and fascinating individuals? What happened? We grew up? Nope We got scared! So what if we fail. We'll learn. Whoever said experience is the best teacher certainly wasn't lying. You learn and grow. Even the great Edison failed 1000 times when he was trying to build the lightbulb but when he was questioned about it, he replied by saying "I didn’t fail 1,000 times. The light bulb was an invention with 1,000 steps." That's perspective! Confucius once said "he who says he can and he who says he can't are both usually right." Failure can guide you down your path or "home"
If being a doctor, lawyer or businessman is your path then by all means go for it but don't do something because someone expects you to do it. Do something because you WANT to do it. But what about the great unknown? Isn't it stupid to chase things that you can't see? Well no. This is where faith comes in to play. Once you have tapped into that passion, it's time to work, work, work and wait for it WORK. While you are working be sure to take the time to believe in yourself because if you don't, no one will. Your Passion should drive your confidence which will drive your hard work and ultimately yield results. Nico Sereba builds off of my self confidence point from earlier in this banging verse. He talks about his supreme confidence in himself. Remember ego is not a bad thing. Ego is simply self love. It's when we start thinking we are better than others that it becomes a problem. There is always opportunity out there. We just have to go out there and seize it. Don't believe me? Listen to them yourself. You didn't think I was gonna write all this without actually letting you hear the song! It's below! As you listen though, I want you all to remember that whether you come from a culture where you're expected to act a certain way or you just don't think you can amount to anything, remember that we are all uniquely different and there is nothing wrong with emphasizing our differences to make a difference. Leave comments with what your goals and dreams are. I want to hear from you! Enjoy the song! "Brand New" versus "Better You"
When on the quest for self improvement, you will encounter a lot of enemies of progress. Sometimes they’ll come in the form of old friends telling you that you are acting different now and that you don't act the same way you used to but that shouldn't deter you from your quest to better yourself. "Sometimes, you have to step outside of the person you've been and remember the person you were meant to be. The person you want to be. The person you are." When you are trying to better yourself you will find that you might have to limit the time you spend with old friends or even cut them out altogether because they could potentially hinder you from becoming the best version of yourself. Yes they'll call you "Brand New" they might even call you fake but what you have to realize is that it's not a matter of being "Brand New" it's about being a "Better You"
How else are you going to be able to help others if you can't better yourself in the first place after all?